About 80 million people trace their origins to Ireland. The question that hasn’t really been asked in nearly 80 years is how did the Irish people come into being themselves? 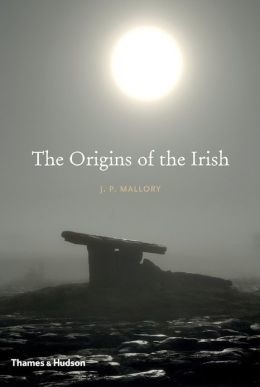 Employing the varied disciplines of archeology, genetics, geology, linguistics and mythology, the author traces the disparate influences that shaped the Irish people and their language. Mallory carefully evaluates the reasons why the earliest colonists decided to settle in a fairly inhospitable land that at the time offered little enough to farmers, and he traces their impact on the island, which he calls monumental. What really brought the emerging nation to the attention of early Europe was the work of metallurgists in copper, bronze and iron, he argues. Relatively recent scientific advances in genetics are complicating rather than explaining the origins of the Irish people themselves, however. But Mallory’s immensely scholarly study offers every kind of explanation, and the reader is left with multiple absorbing possible answers. Unsolved murders often haunt the lives of those left behind, but thanks to books like this one the uncaught killers will never be allowed to rest easy. 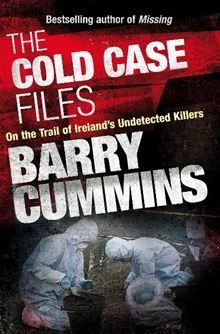 One of Ireland’s most respected crime journalists, Barry Cummins’s latest book charts five decades of unsolved killings in Ireland, including the 1981 shooting of Lorcan O’Byrne, tragically attacked by robbers on the night of his engagement. Cummins also examines the case of Grace Livingstone, who was found shot dead in her Malahide, Co. Dublin home in 1992. Another unsolved case is the abduction and murder of Brooke Pickard, who was last seen in Co. Kerry in 1991. These cases, shocking in themselves, remind us how many cold blooded killers still walk among us, hoping never to hear the dreaded knock that signals justice is about to be served. The book ends with a case recently solved by the cold case unit, the murder and secret burial of Brian McGrath in Co. Westmeath in 1987. Justice may sometimes take slow steps Cummins writes, but with committed detectives like these on the case, its march is unstoppable. Christiaan Corlett is an archeologist with the Irish National Monuments Service and has extensive knowledge of the early photography of Ireland. The nation should probably raise a monument to Corlett himself for producing this remarkable book. 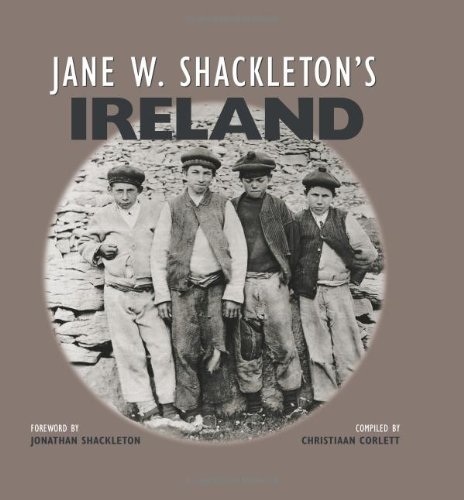 In 1881 the photographer Jane Wingham Shackleton visited the Aran Islands and ended up recording how the islanders lived and dressed. She made eight more trips there over subsequent years, but her Victorian eye was also drawn to signs of emerging industries and the people who worked them. Unlike many of her contemporaries, Shackleton is particularly drawn to the people she photographs, giving her portraits an emotional heft often lacking in other works of this era. That her subjects are Irish is unmistakable. These are the faces of our tribe, but these faces are long gone, as indeed are most of their grandchildren already. To open this book is to step into Irish history portraits that cannot fail to move and astonish you. Broken Promises: Whatever Happened to Vatican Council II? After serving 28 years in the priesthood of the church he loves, Finbarr M. Corr knows about the inner workings of the Catholic hierarchy and has decades of pastoral experience of his own; both of these qualifications make him an ideal guide to the challenges facing the church in the 21 century. 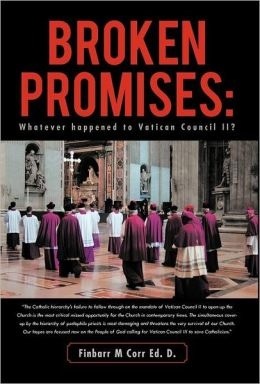 Many of the church’s current crises can be traced to its refusal to enact the promises of the Vatican Council II 50 years after it was first convened, Corr contends in his new book Broken Promises: Whatever Happened to Vatican Council II? In particular, the Vatican’s failure to embrace shared authority and openness has been disastrous, he argues. The author, who served as a priest before, during and after the council, explains why that there is still time for rescue and renewal of the church even though the most damaging result of the hierarchy's failed follow through – the cover up of sexual abuse of children by clergy – now threatens the church's very survival. Cometh the hour, cometh the woman. Just when Ireland (mired in financial crisis and hemorrhaging emigrants) desperately needed a hero, along came the unstoppable Irish boxer Katie Taylor. Taylor made Olympic history by winning gold in London in 2012 (the ninth Olympic gold medal won by an Irish athlete since the foundation of the Republic), adding her to the all-time greatest list. But it didn’t just happen overnight. 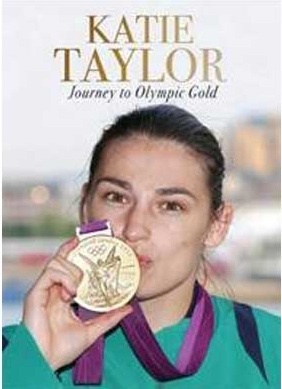 O’Toole’s book charts Taylor’s ascent through the ranks of women’s boxing. At 15 she was a trailblazer, participating in the first officially sanctioned women’s bout in Ireland. Soon after she became the first woman to win four successive world titles, followed by five European amateur championships and four European amateur titles. But her road was always going to pass through the London Olympics last summer (via the delighted hearts of every Irish person who watched her at home and abroad). This timely book reminds us that even the worst Irish summer in history couldn’t best her. The sun shone and the day turned out grand for the thousands who turned up for her homecoming, O’Toole reminds us. Sometimes heroes do come when you call. The Celtic Tiger boom and bust contained two different but equally valuable lessons for the nation -- if it has the honesty to see them. One lesson is that we need not fear the more secular society that Ireland is becoming. The other lesson is that we need not throw away all the values and traditions of the past to achieve this. The Irish know all about emigration, but little enough yet about immigration. 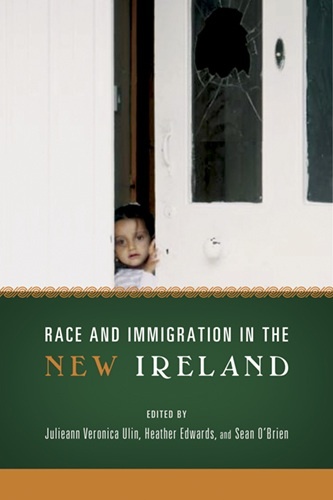 It’s a conversation that should get started, and this scholarly and engaging book takes us through the social and political challenges and opportunities that immigration presents to us. Most children have rooms in their imagination that they can journey to in times of crisis or loss. So it is in O’Malley’s hypnotic new novel, which tells the tale of young Duncan Bright, a boy who wakes up at the age of 10 with only one memory -- that God had spoken to him when he was born. O’Malley writes prose that’s clear as glass, and this story offers us all he knows about love and loss, which turns out to be a great deal. 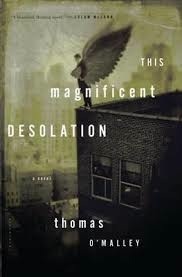 The Magnificent Desolation is a novel to shake you out of your torpor and see the world afresh through the transformative magic of a child’s imagination, an astonishingly creative feat in itself. Think of the evil of Nazism. In recent weeks it was revealed the Nazis opened over 42,000 camps across Europe, mostly to exploit and kill their enemies, which were legion. The sheer darkness of that era can be hard to fathom, so it’s salutary to see that over 130,000 Irish men and women answered the call to fight the Nazis during World War II (7,500 of them never to return). 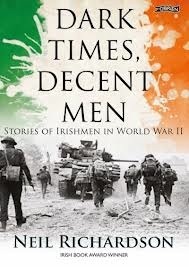 In Richardson’s book he gathers dramatic first hand accounts from Irishmen who went to war, fighting in Dunkirk and North Africa and on the D-Day beaches. Irishmen were also RAF aces, they served as sailors in seas infested by U-boats, they served alongside the US 101 Airborne Division and some won Victoria Crosses for their heroism. Seen now, decades after their service, they look like heroes they were, not the traitors they were often accused of being.